Since my mum moved to Stretford almost ten years ago, my brother has been trying to convince us that Stretford is the new Chorlton (for non-Mancunians, Chorlton is the cool place to be; Stretford is a bit dead). It seems he may finally be on to something, as a pop-up establishment has opened up at 1116 Chester Road and the July residents have a vegan-friendly menu. Pop-ups and vegan options? It doesn’t get much more Chorltonian than that! The menu is divided into small plates (starters), medium (brunch) and large (mains), and each section has one vegan option. I was with a meat-eater and a vegetarian, but we all naturally gravitated towards the vegan options anyway. As a bonus, vegan wines are marked on the menu. From the all-day brunch menu, the vegan option is this dish of cabbage leaves stuffed with lentils, mushrooms, cream cheese and roasted tomatoes. Mama HH chose this and heartily approved: the cabbage was a bit tough to cut through, and she would have appreciated more of the cream cheese, but she found it very tasty and satisfying. This one seemed worthy of its £7.50 price tag. 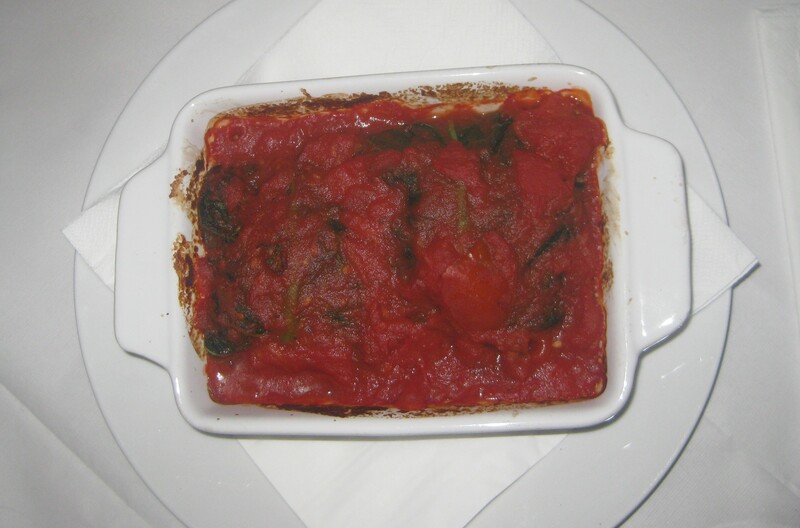 Dr HH and I both tried the large vegan dish: asparagus and caramelised onion tart with toasted tomatoes. We were surprised by the cream cheese on top, but very pleasantly so – it was really delicious. 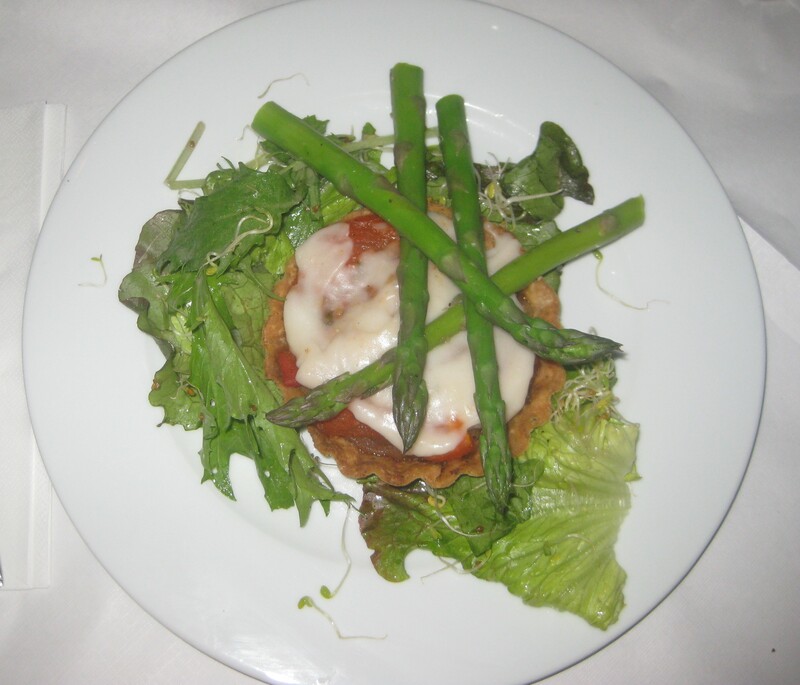 The asparagus was really well-seasoned, the pastry was gloriously thin and crispy, and the whole dish was flavoursome. £10.50 seemed a little steep for this (we thought there might be a potato side included), but for a pop-up place, and one of the few eat-in places in Stretford with vegan options, we couldn’t grumble too much. 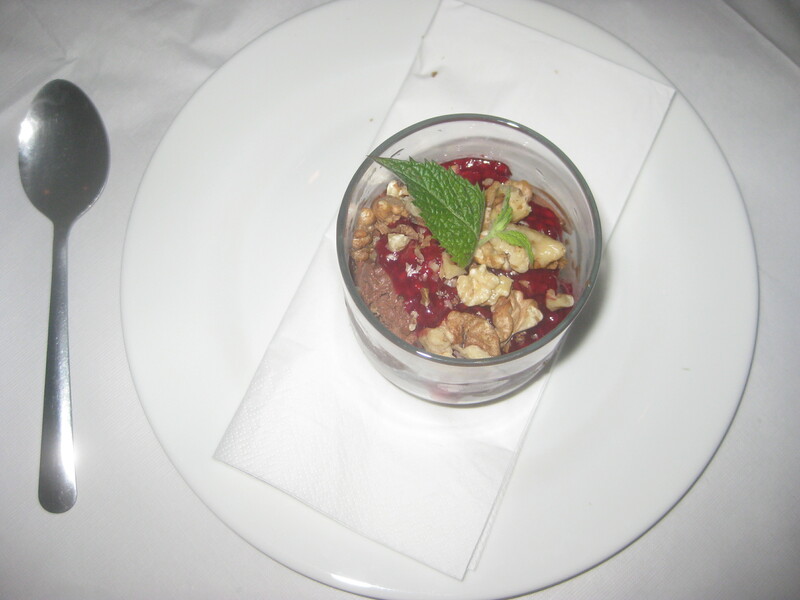 There was also one vegan dessert, which consisted of chocolate ice cream, fruit compote and candied nuts. 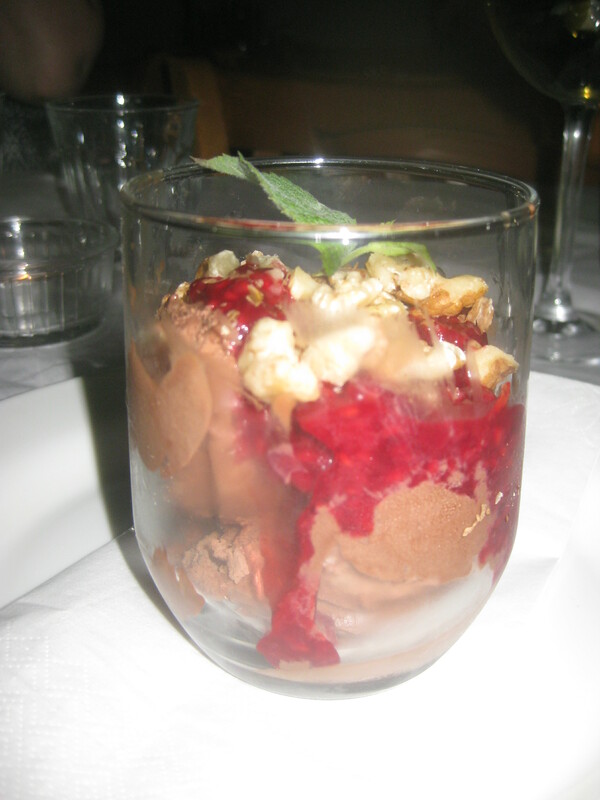 I’m not convinced that the nuts were candied, nor that this was worth a fiver, but the ice cream was good, and it was nice to have a vegan dessert option anyway. This place is open for all of July, so try to pop in if you can before then! Of course, it wasn’t as polished as more established restaurants (the food took a little longer than expected), but service was really friendly and it was a nice little place. Surely it’s only a matter of time until Stretford truly is the new Chorlton! 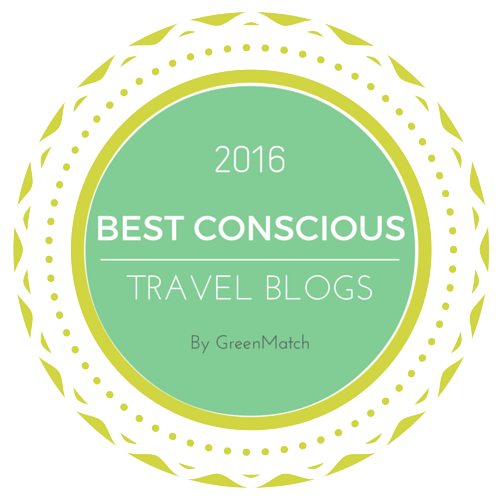 This entry was posted in Travel and tagged Stretford Canteen Manchester vegan, vegan Manchester, vegan travel. Bookmark the permalink. Pop up restaurants always seem weird to me- for the reasons you mentioned. But the food does look pretty tasty. Surprising that they have vegan cream cheese. Yes, I was surprised by that too! It seems quite bold for a non-vegan place. The tart looks good, but I’d definitely have wanted some extra carbs on the side for a tenner! Good to see vegan options taking over the world, though, even if it’s one pop-up at a time! It’s definitely a step in the right direction!